Whether you are a vegan, or just trying to avoid chocolate, this icing recipe is wonderful for making leaves, swirls and other cake decorations. Coconut fat, or coconut butter, is often found at health food stores, or some high-end grocery stores. 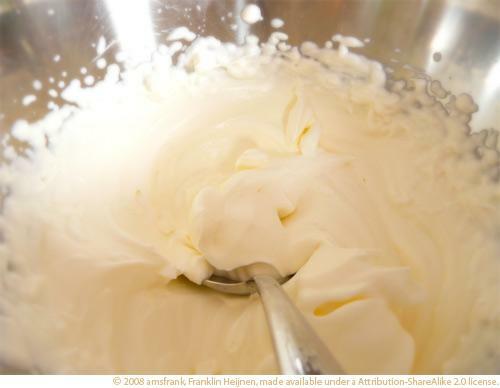 It is a solid fat, similar to a softened butter. Because it has about 100 calories per tablespoon, it is not much healthier than butter, but the flavor compliments the carob. 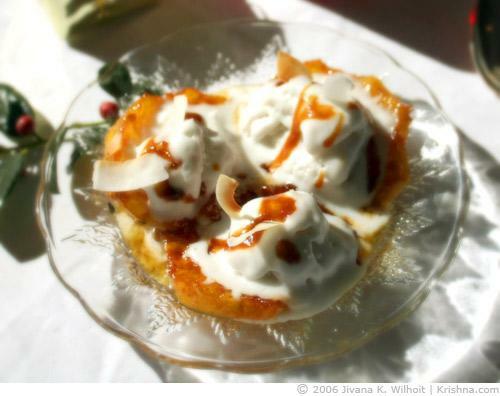 This dessert is very simple to make and we're told it was very popular with the friends of our friend who suggested it. Since it can be difficult to correctly substitute carob for chocolate, we love receiving recipes for carob desserts to share with you. Please let us know how it works for you. If we get a lot of good responses, we can move this out of our test kitchen and into our recipe section for even more people to enjoy! Please email food@krishna.com if you have a recipe you would like to suggest. The pineapple is a magnificent fruit and tastes great when caramelized and served with Coconut Sherbet or ice cream. Make sure the pineapple is ripe and juicy. 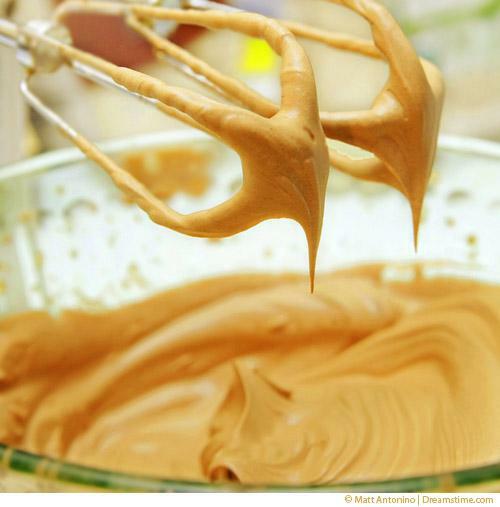 The perfect touch for topping your pumpkin pie, or any special dessert. A big hit at any Thanksgiving table is the final indulgence of dessert. Our Pumpkin Mousse Pie is no exception. 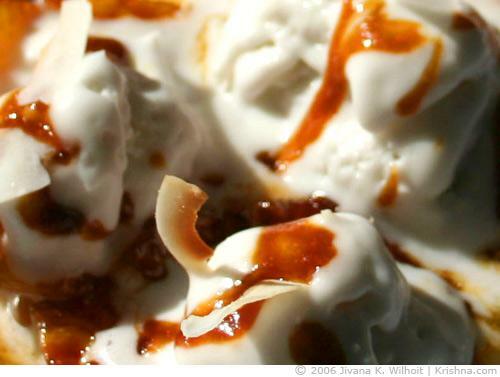 The light and spicy flavors topped with whipped cream create a taste sensation enjoyed by all.